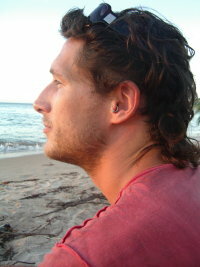 Hi Mikael, could you introduce yourself in a few words, for those who might not yet know you? Emok: Sure bro, my name is as said Mikael a.k.a. DJ Emok. I’m one of the two owners of the Danish label Iboga Records based in Copenhagen. The last then years I have been producing electronic music under the names Phony Orphants together with my partner Jeppe, and in the last two years I have worked on my own solo project called Maelstrom as well. It’s been almost two years since your first solo album? What evolutions in your style and taste motivated another album? Emok: The thing with the music I produce is that I always seems to get inspired of a single track or song. Not that it is necessarily electronic music, also every once in a while pop music and hip hop. Sometimes I go to the studio without any specific idea or inspiration just to tweak some knobs to see if I can get something nice together, and mostly these arrangements are the worst once. Sure the new album is more inspired from the techno and minimal scene, but I’m still a trance guy, so I find a good way to combine the styles. The evolution definitely took me from more hard music to more groovy and minimal sound. As a DJ and producer, you emancipated yourself from the strict boundaries of progressive trance early on. 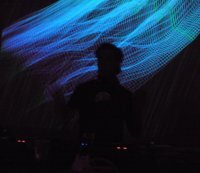 Is this still evident in the style of your DJ sets? Could you quote a few names you like to spin these days? As in your previous album, you have written tracks in collaboration with other artists, such as Lenny Ibizarre. How did you choose your collaborations partners this time? What kind of diversity do you look for? Emok: I always collaborate with good friends, that’s the key. People I like to hang with and people that enjoy my company and constant talking as well. When I started working with Lenny Ibizarre the diversity was so big, that eventually something really good and new came out of it, so I guess a lot of diversity is really what you need to take your music into new levels. In each of your solo albums you’ve participated in a collaboration with a South African artist from the full-on scene. Is that mere coincidence? Does this correspond to a specific taste of yours linked to the psy overtones you like to sprinkle in your music? Emok: Again these are just good friends I have been hanging with at the right time when we had time enough to make some music together. It happens a lot that I’m somewhere in the world for a week because I’m on a tour where I meet up with other artists, like the South Africans, and what is more natural than making some music together? While reviewing your album, I heard a few reminiscences of the former Phony Orphants style, unlike your previous solo album. This is especially noticeable in the track (and title) Retro Nights. Is this a tribute to those days, which, in a sense, could be seen as the heyday of progressive trance? Emok: Haha, yea Retro Nights is definitely a tribute to the old Phony and Atmos kinda style. Happy slow trance is timeless for me. 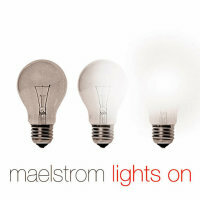 I do actually try hard to make the Maelstrom tunes sound different from Phony Orphants, but it’s hard sometimes to really separate it as I’m producing under both names at the same time. I can add to this that the new Phony Orphants album is close to be done, so August / September we’ll have the 3rd and long awaited Phony Orphants album out on Iboga.......and it’s a killa one. Worth waiting for. A lot of the foremost progressive DJs of the scene spin Techno these days : James Monro, Kasey Taylor, Mapusa Mapusa, and the Iboga artists Yuli (Perfect Stranger), Yoni (Ace Ventura), not to mention famous side projects such as Minilogue (Son Kite) or Fiord (Antix) who are now widely acknowledged in Techno circles... What about you? Do you think this corresponds to a lull in the renewal of creative ideas in progressive trance? Emok: Sure, as you can see on my list of artists I like to spin, then I sure like some of the more kicking techno stuff. I think it’s a natural development for DJs that have been playing for many years. You need to change your sets from time to time and not always play the same style. I like to surprise people with new music and styles once in a while. But in the end of the day I’m off course always true to Iboga Records sound, as this is what most people booking me like to hear. Are there any DJs, in any style, that you look to for inspiration? Emok: Not really to be honest. Sure, I have this amazing time few times a year when you get an exceptional good experience. Last time for me was listening to James Holden and then after Dub Fire on the Glade Festival in the UK. Together with Banel, you’ve been running Iboga for more than ten years now! 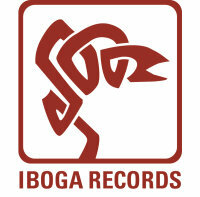 That makes Iboga one of the oldest progressive labels around, if not the oldest. Do you still feel the same enthusiasm about releasing music? Emok: Actually it’s 13 years..... WOW, and I am MORE enthusiastic today than ever. I think the music scene changed, and we are getting better and better music. Once in a while you have these events or things that make you see that all this hard work for many years has been worth it all, and this is where you start to put even more power into it. To name a few examples: A label party in Tokyo, where the organizer expected 1500 people and 3500 arrived; To have a hit with releases once in a while, like the Jerome Isma Ae remix of Liquid Soul; To see that the 3 best voted artists and tracks on Beatport are ALL Iboga artists. You need these success experiences to keep you going, otherwise you will end putting less and less energy into it. How does the nose dive of CD sales affect Iboga? Does this mean the label will focus more on artist albums than on compilations, for example? Emok: It’s been affecting us very hard, off course, so we had to change our strategy. Now we focus more on artist albums, and the few compilations we have in plan are with low advance payments as they are almost impossible to sell. So we focus our energy on the online market and the online market is very different than releasing on CDs. Online people seem to be into singles more than full releases with 8-10 tracks, so we are releasing a lot of single releases with 2-3 tracks on each, and we even split up our albums and compilations in to 2-3 releases online as this seems to work better. Which new talents have you spotted recently? Any new artists you would like to release? Emok: It really seems like it’s getting harder and harder these days to find completely new talents. There are a lot of new names in the scene, but a lot of these are actually old Pystrance producers with new names for their more prog style projects. Here I admire Ido Ophir, Gabe and Riktam & Banzi a lot- fat production. Besides that I’m really into Djuma Soundsystem from Denmark. We have some releases coming up with them, wait and hear.... killa. 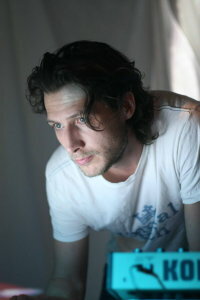 Iboga has earned its place as a standard-setting label in the Progressive Trance scene. Does that status place restrictions on your release decisions? I remember the heated debate around the release of the Set: 8 compilation. Emok: That’s a really good question. Banel and I had this discussion two years ago, and decided not to have any restrictions at all for what we release. We decided that we will release the music WE like and to keep working with the artists connected to the label so far. This has been giving Iboga Records very big diversity, where old fans of our Psy progressive sometimes can’t follow. But this is the way we like to do it, and this is what keeps the label rolling. Restrictions in all other questions in life are boring as well, aren’t they? You’ve been around the scene for a long time now, and over that time the scene has changed, shifting its epicenter towards Brazil for example. How do you feel about that? Any nostalgia for the past? Emok: Brazil is for sure the main country for our kind of music. It’s crazy how big this country is. The good thing about Brazil is that party people there seem to have a much wider taste of music than in Europe. You see the same people kicking it off to 148 bpm full on music and then 5 hours later to 125 electro and minimal. I think the European scene could learn a lot from that. But sure there is old nostalgia for me. Some of the best events in the past are Samothraki Festival no. 2 and 3. Voov Experience back in 2001-2003, Glade Festival the last 3 years (this is my new favourite in Europe). From all these events I have a lot of good memories and experiences. Besides Brazil, Australia is probably my favourite place to go, I love the scene and people there. Your last EP was entitled Broken Economy. Was that a reference to the current world situation? Emok: Actually it’s mix of the world situation and the situation Lenny Ibizarre and I were in at the specific moment- totally broke. Any further comments you would like to make? Emok: Keeps supporting the music you like in one way or another, its important for our scene to survive.